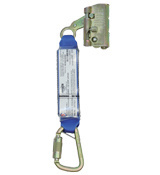 A permanent vertical system for fall protection on often accessed structures such as ladders, towers or tanks that allow the worker to move up and down the entire height of the system rather than having to disconnect and find new tie-off points along the way. Consists of top and bottom entry/exit gates, rail joints, and multiple mounting bracket options designed to mount the rigid aluminium rail to the structure. A Railok 90™ shuttle connects the worker to the system and locks onto the rail in the event of a fall, allowing the user to regain their footing. ​The Protecta® flexible cable system consists of a vertically suspended steel cable that runs the length of the climbing area. The Cabloc™ sleeve connects the worker to the system and automatically follows them during the climb and locks onto the cable in the event of a fall, allowing the worker to regain their footing. Protecta® gear is designed for ease of use, economy and versatility. 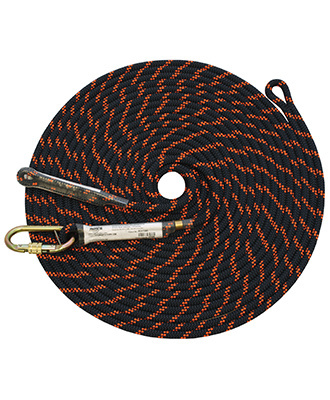 The Cobra™ rope grab is unique because it can be set for automatic hands-free operation, or manual operation allowing the user to fix the device in place for positioning or restraint applications. 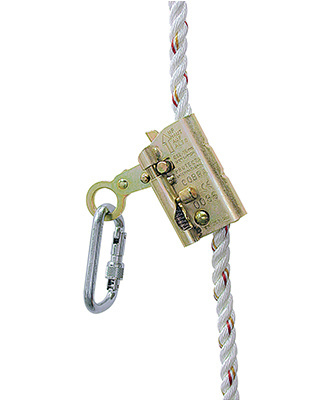 For added ease of use and versatility, the grab can be attached anywhere along the rope lifeline. Effortless climbing system delivering comfort and performance at heights !